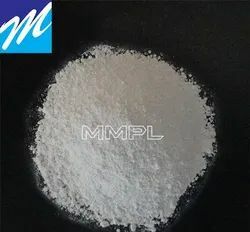 Description: - Calcium carbonate is a chemical compound with the formula CaCO3. It is a common substance found in rocks as the minerals calcite and aragonite (most notably as limestone) and is the main component of pearls and the shells of marine organisms, snails, and eggs. Calcium carbonate is the active ingredient in agricultural lime and is created when calcium ions in hard water react with carbonate ions to create lime scale. Three types of calcium carbonate-containing rock are excavated and used by industry. They are limestone, chalk and dolomite. Limestone and chalk are both forms of calcium carbonate and dolomite is a mixture of calcium and magnesium carbonates. All have impurities such as clay but some rocks are over 97% pure. Limestone and other products derived from it are used extensively in the construction industry and to neutralize acidic compounds in a variety of contexts. Application:- PVC pipes -fitting, electric wire and cable, uPVC pipes-fittings, PVC clothing, PVC furniture, PVC flooring, PVC door-window, PVC footwear, PVC rigid sheet, PVC flexible film, PVC celuka foam board/sheet, WPC sheet, WPC profiles/chokhat, PVC free foam sheet, advertising flex banner, PVC suction-garden tube, PVC rigid/flexible profiles, artificial lather, PVC Flooring, automotive products and other many application.